William is an Associate Attorney at Triangle Law Group. He hails from the Northwest Georgia Mountains, but he has called the Triangle his home for 15 years. A "double Tar Heel," William was a Robertson Scholar at UNC-Chapel Hill where he studied American history and political science, graduating in 2007. 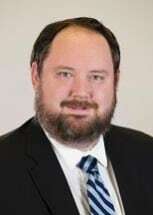 He then attended the University of North Carolina School of Law, where he was published twice as a member and articles editor for the North Carolina Journal of Law and Technology before graduating in 2010. William began his career at Legal Aid of North Carolina, where he gained a wealth of experience in family law, foreclosures, consumer credit, contract disputes, and landlord-tenant cases. While with Legal Aid, William practiced law in three different offices - Ahoskie, Pittsboro, and Raleigh - and 20 of North Carolina's 100 counties. Having represented clients in court every week at Legal Aid in everything from custody and domestic violence protective orders to landlord-tenant matters, foreclosure defense and collections, William can efficiently and accurately assess how your case will look to a judge or jury in all parts of the State, no matter the stakes. At Triangle Law Group, he practices a broad swath of civil litigation with an emphasis on construction, landlord-tenant, toxic mold, foreclosure defense, and consumer debt matters. William is a member of the North Carolina Bar Association, the Wake County Bar Association, and the 10th Judicial District Bar. In addition, he is admitted to practice in all state and federal courts in North Carolina. In his spare time, William enjoys spending time with his wife and daughter, fishing, and cheering for UNC.